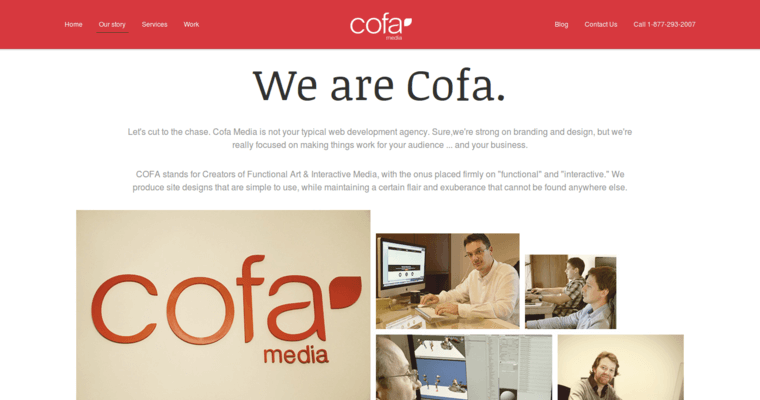 Cofa Media is a cutting edge community of internet marketing experts who enjoy empowering entrepreneurs and corporate leaders to effectively advertise their brand via Internet. 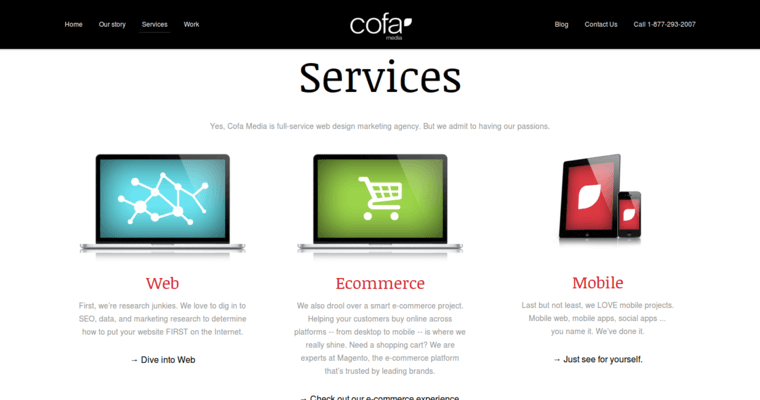 The techies of Cofa Media ensure the realization of this objective by offering a diverse array of proven digital marketing services, including web design and development. 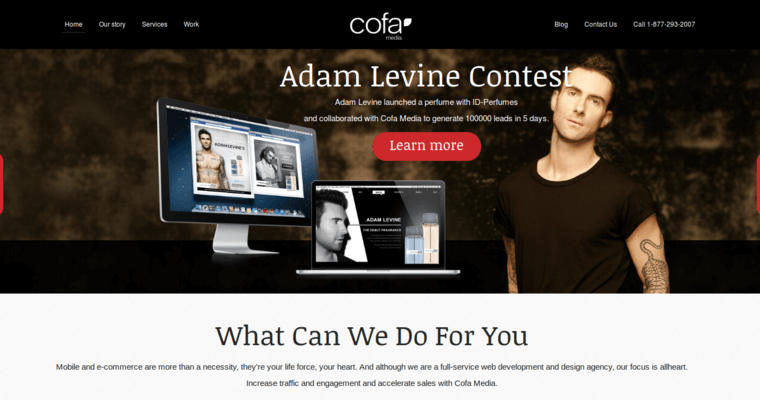 In recognizing that a visually appealing website can attract attention and generate Internet buzz, the Cofa Media representatives work with diligence and precision to ensure that each of the client's product pages is aesthetically optimized. They also utilize responsive web design systems and strategies to make it easy for mobile device users to peruse the product pages. Choose Cofa Media to attain the exemplary, brand-building digital services that will help your brand outperform all competitors.